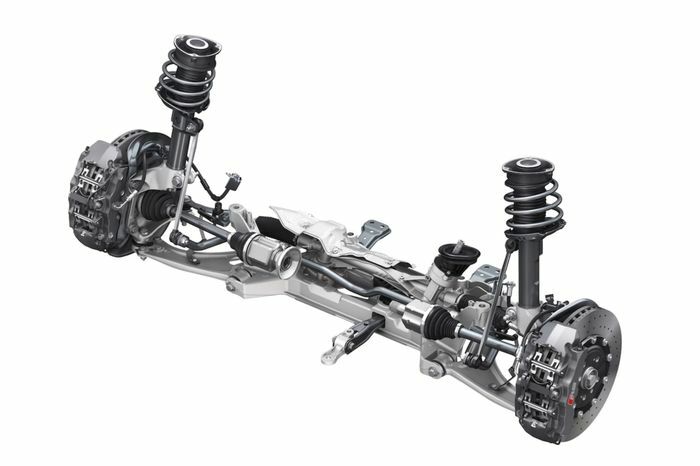 What Actually Is Double Wishbone Suspension? 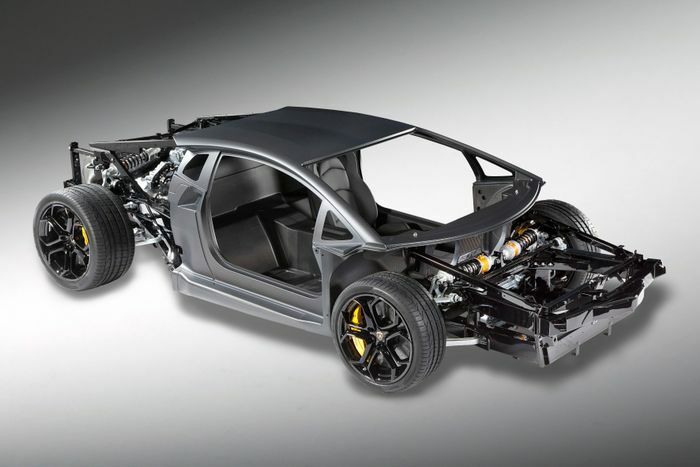 When an exciting new sports car or supercar emerges, you might notice there’s talk of the vehicle having ‘double wishbone suspension’. You’ll probably know this is generally considered to be a rather good thing. But what the hell does it mean? Before we go any further, we need to talk about the concept of a MacPherson strut suspension setup, which we detailed a few weeks ago. It’s a much more common arrangement than double wishbone, featuring a control arm and radius rod joining the hub at the bottom, with the shock absorber protruding from the top. It’s simple, it’s inexpensive and it works well. 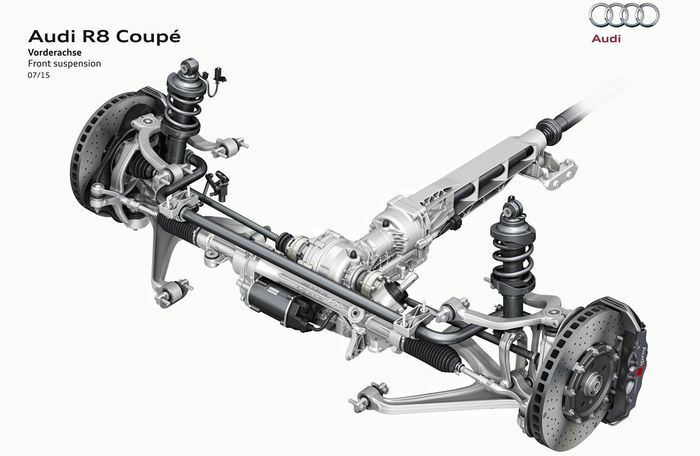 Above, you’ll see the MacPherson strut front suspension setup of an Audi TT RS. Now compare that to the double wishbone arrangement of the R8 below. Here, we have two wishbone-shaped arms (sometimes called ‘A-arms): one at the top and one at the bottom, with the damper attached to the bottom arm. This design offers a vastly different geometry. Unlike with a MacPherson setup, the more the double wishbone suspension is compressed, the more negative camber is introduced, thanks to the use of unequal-length control arms. As you’re cornering hard and the car starts to roll, a double wishbone suspension system will maintain a better tyre contact patch with the road. Sure, a car with MacPherson suspension can be improved in this respect with a stiffer setup, but the beauty of double wishbone is it can be left softer without compromising that contact patch. 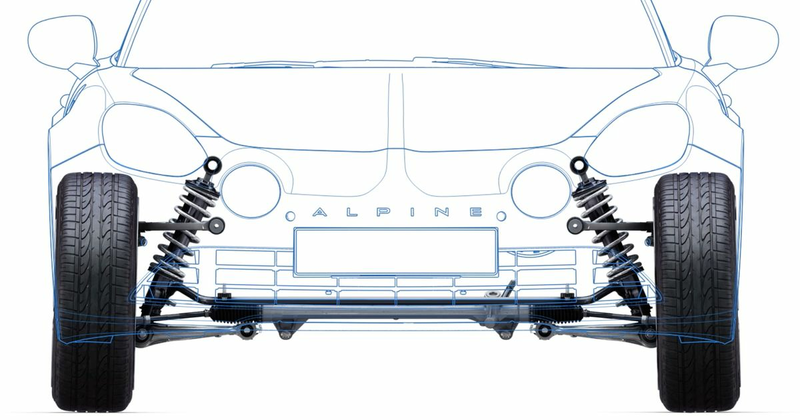 That’s the ethos behind the new Alpine A110, for instance, which has front and rear double wishbones. It’s not as stiff as some competitors - because it doesn’t need to be - which results in a car that’s more comfortable and less nervous-feeling on bumpier roads. As a more complex design, double wishbone allows for greater control over camber, caster and roll centre. 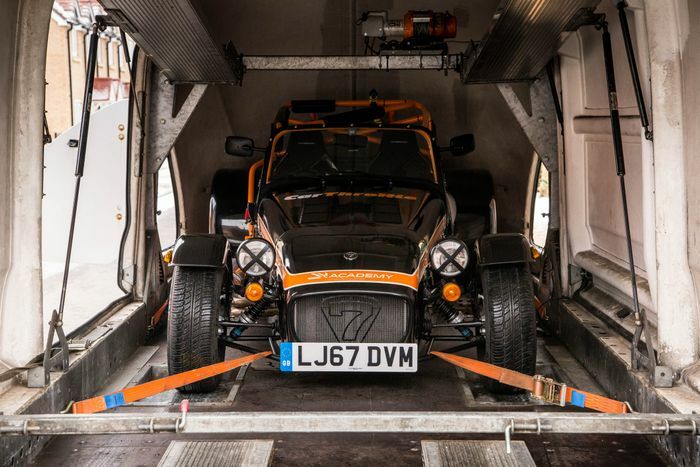 It also gives much more freedom with the placement of the dampers, leading to the trick inboard setups you’ll see on many racing cars and even some road-going supercars. Finally, since the damper isn’t sticking out the top of the hub, this type of suspension is much more economical in terms of vertical space. You can still have a reasonable degree of suspension travel without having to raise the ride height, which negatively affects the handling by increasing the centre of gravity. In terms of performance, double wishbone trumps MacPherson. So why aren’t more cars built this way? A big factor is cost. Where MacPherson is simple and cheap, double wishbone suspension is more expensive and more complex. The design and manufacture of a double wishbone setup is generally going to increase costs, which is why it’s usually relegated to pricier machinery where ultimate handling is a bigger priority. Plus with more joints to worry about, the owner is going to be burdened with higher service costs. The next problem is packaging. While this arrangement takes up less vertical space, it needs more horizontal room thanks to the location of the upper arm. You either eat into cabin space, widen the car, or do a bit of both. As with most aspects of car design, it’s all about compromise. Double wishbone could be seen as the ideal suspension setup, but it’s not the best solution for every car.